Nick Joannidis has been running for over 35 years, having done practically every possible racing event or distance from the 100 meters through the marathon. 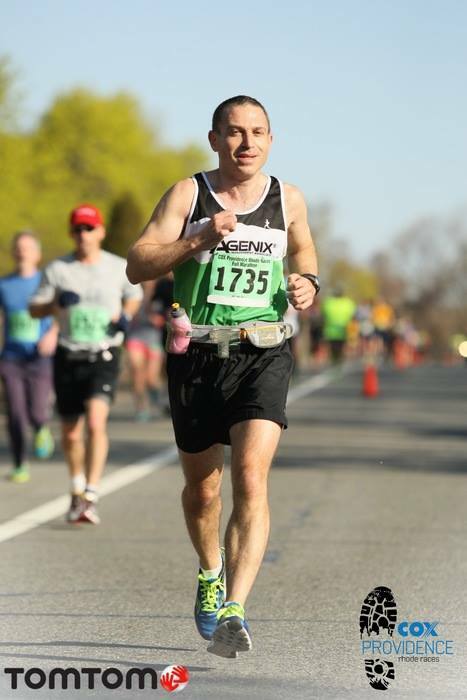 He has competed in varsity high school cross country and track at Saddle Brook High School in the mid-1980’s, varsity cross country and track at Division II Pace University and finished well over 200 road races since then, including 20 marathons with a lifetime best of 3:14:50. In Sept 2015 he ran his fastest 1/2 marathon ever in 1:30:05. This was followed by lifetime bests in the 20K in March 2016 and the 10M in March 2017. He was the president of the Hoffmann LaRoche corporate running team for 7 years, growing the team from 25 to over 90 during his tenure. He coached many of these runners to achieve their goals, whether they were beginners or advanced. In 2011 Nick was an assistant coach for the Fair Lawn Recreation track team, helping the 10 to 14 year old group. He is currently personally coaching dozens of runners, from beginner levels to advanced levels and getting them to be prepared to meet their goals. My goal is to assist you to put you in position to get your goals. I will work with you from your feet to your head and come up with a game plan that we mutually agree upon to get you where you want to be.